(Winner of the Lambda Literary Award) Renowned as a theater director, Cordelia Thorn is working to restore a historic theater in downtown Minneapolis that she bought with her sister Octavia, an actress. Nicknamed "The Old Deep and Dark" after the Prohibition-era double murder that occurred in the basement—a speakeasy at the time—the place has a wealth of secrets hidden inside its walls. When Cordelia discovers a present-day body buried down there, however, she immediately calls on her best friend Jane Lawless, who has recently gone from amateur sleuth to licensed private investigator. 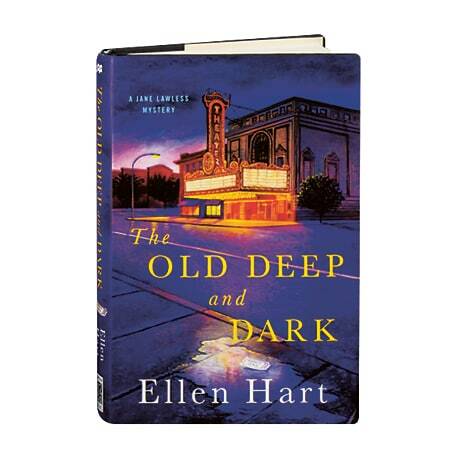 Ellen Hart won her fifth Lambda Literary Award for this 22nd mystery in the series (following Taken by the Wind). Dubbed the "lesbian answer to Agatha Christie" for her long-running Jane Lawless series of cozy mysteries, Hart was named a Grand Master by the Mystery Writers of America in 2017.